Please submit event at least two weeks prior to event date. Only one event may be submitted per form. 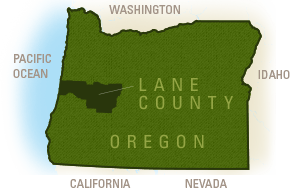 Event must occur within Lane County (some Travel Lane County membership exceptions exist). Event dates must be final. Tentative dates will not be accepted. A high quality horizontal photo is requested for each event. Flyers and logos will be accepted, but only in addition to a primary photo. Posted events may be shared with other calendars and media. Our calendar is for visitors to the Eugene, Cascades & Coast region and is not meant to be an all-inclusive community calendar. Travel Lane County reserves the right to edit or decline event submissions for any reason. See Guidelines & Instructions for more information. You will be notified when your event is posted or declined. If your event is already on our calendar and you wish to update information or cancel the event, please contact Calendar@EugeneCascadesCoast.org. We will make the changes for you. Disclaimer: Submission of an event to the Travel Lane County website Calendar of Events www.EugeneCascadesCoast.org feature does not guarantee a listing; however, every attempt will be made for inclusion. Events must be suitable for visitors. An email notice will be sent to you when your event has been approved or denied. Travel Lane County is not responsible for the accuracy of event listings submitted. Please immediately notify Travel Lane County by email of event cancellations and/or changes.